January 23, 2019 – Toronto, Ontario – Matica Enterprises Inc. (MMJ – CSE) (39N – Frankfurt) (MQPXF – OTC) (“Matica” or the “Company”) is pleased to announce that the cannabis growing facility in Dorval, Quebec has received rooted starting materials. Pursuant to a site visit of the facility by an agent of the Canada Revenue Agency in late December of 2018, RoyalMax Biotechnology Canada Inc. (“RoyalMax”) is in receipt of a Cannabis Licence under the Excise Act, 2001. This licence, issued on Monday January 21, 2019, was required prior to receiving starting materials. The Company will commence the growing cycle immediately. We anticipate our first harvest in approximately eleven weeks. RoyalMax will begin specializing in one strain with a very high THC concentration. In the coming weeks, other strains will be introduced. 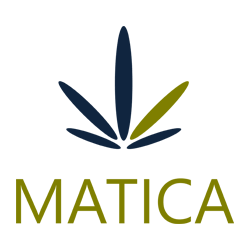 Matica is a multi-faceted, innovative company in the Quebec cannabis space. RoyalMax Biotechnology Canada Inc. (“RoyalMax“) was recently granted a cultivation licence by Health Canada for the production facility in Dorval, Quebec. RoyalMax is one of only 11 Licensed Producers in the Province of Quebec. Matica intends to build 1,000,000 square feet of greenhouses on a 181 acre property in the township of Hemmingford, south of Montreal. Matica has entered into an agreement with Yunify Natural Technologies, a Quebec based health and personal care research and innovation company. The Company’s public filings are available for review at www.sedar.com and www.thecse.com. This news release contains statements about the Company’s information that may be made available on the S&P Capital IQ Corporation Records Listing Program and the business of Matica that are forward-looking in nature and as a result, are subject to certain risks and uncertainties. Although the Company believes that the expectations reflected in these forward-looking statements are reasonable, undue reliance should not be placed on them as actual results may differ materially from the forward-looking statements. The forward-looking statements contained in this news release are made as of the date hereof, and the Company undertakes no obligation to update publicly or revise any forward-looking statements or information, except as required by law.